A felon beaten by sheriff's deputies during his arrest on live chopper video, capping a pursuit on horseback through the high desert northeast of Los Angeles, has settled with San Bernardino County for $650,000. County officials said in a statement they came to that agreement with Francis Jared Pusok over his April 9 arrest "in order to avoid litigation expenses." "The sole purpose of this agreement for both parties is to avoid the costs involved in litigation," said board of supervisors Chairman James Ramos. "This agreement is a fair outcome for everyone involved, including the taxpayers." In a statement, Pusok said he and his family are pleased a settlement was reached and hope the attention to this case will be a catalyst for change. A man beaten by San Bernardino County Sheriff's deputies during his arrest caught on video, has settled with San Bernardino County for $650,000. 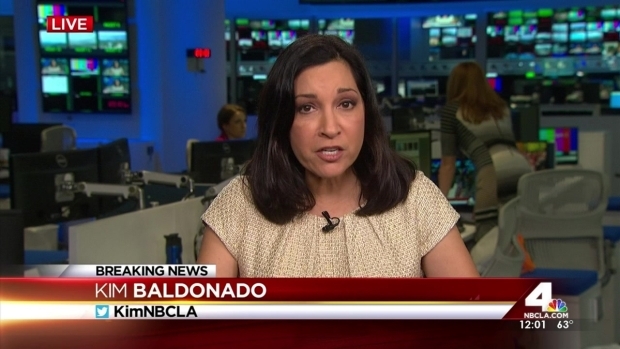 Kim Baldonado reports for the NBC4 News at Noon on Tuesday, April 21, 2015. "The Pusok family is happy to put this awful chapter of their lives behind them and begin the emotional and physical healing that must take place," the statement said. "This settlement is remarkable as there was essentially no investigation nor any indictments rather it is based on a video which depicts a violent and brutal attack by San Bernardino County deputies on a private citizen." Earlier, Pusok, 30, of Apple Valley, spoke to NBC4 about his arrest that prompted an internal investigation into San Bernardino County deputies' actions and a federal civil rights probe. Ten deputies were placed on paid administrative leave after the arrest, captured on camera by NewsChopper4. Deputies beat Pusok after he led them on a nearly three-hour pursuit that began when authorities tried to serve a warrant in an identity theft investigation Pusok's attorney said had nothing to do with him. He said he was stunned several times with Tasers, and deputies pressed his head into the sand as he fought for air. Pusok was hospitalized and jailed on charges of felony evading, theft of a horse, and possession of stolen property. He was released from custody April 12 after posting bail. According to the terms of the settlement unanimously approved Tuesday by the board of supervisors in closed session and by Pusok and his attorney on Friday, the County acknowledges no wrongdoing. 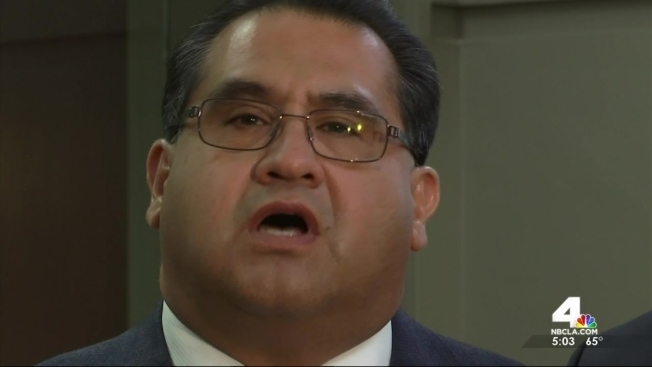 County Supervisor James Ramos said it's a good deal for the county. "It's minimizing any future litigation costs, civil costs and civil cases here at San Bernardino County," he said. Gadi Schwartz Joe Studley and Tony Shin contributed to this report.